The dog-friendly Canadian Pet Expo and 2015 Reptile Breeders Expo (International Centre, Mississauga, Ontario) might consider renaming its fall expo – or at least flipping it. Arguably, it was less about furry pets and more about reptiles. The same company runs a spring version (see previous post), and the September 19-20, 2015 attempt was remarkably smaller with fewer pet exhibitors, stages, and demonstrations. There were no Dock Dogs, Super Dogs, or bleacher-sized performances of any kind. 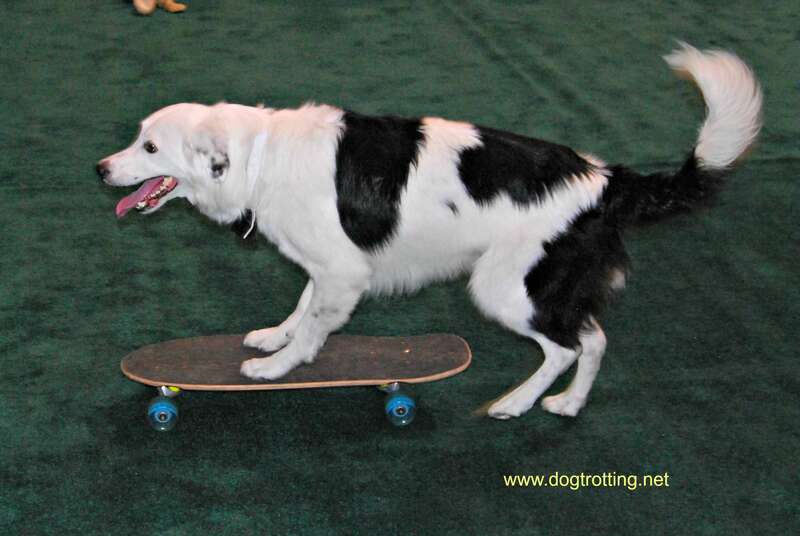 However, Hero the Super Collie and trainer Sara Carson showed off a slice of Hero’s 400-trick repertoire in a squared off area with no seats. There were a lot – a lot – of snakes coiled up in small containers ready to be carried off to (hopefully) homes willing to care properly for these delicate and misunderstood creators. Mini pigs are the new dog. Ok, that’s clearly a stretch. But this isn’t the first time I’ve seen pet pigs carted around and cuddled like canines. (Only this time they weren’t wearing cowboy hats). 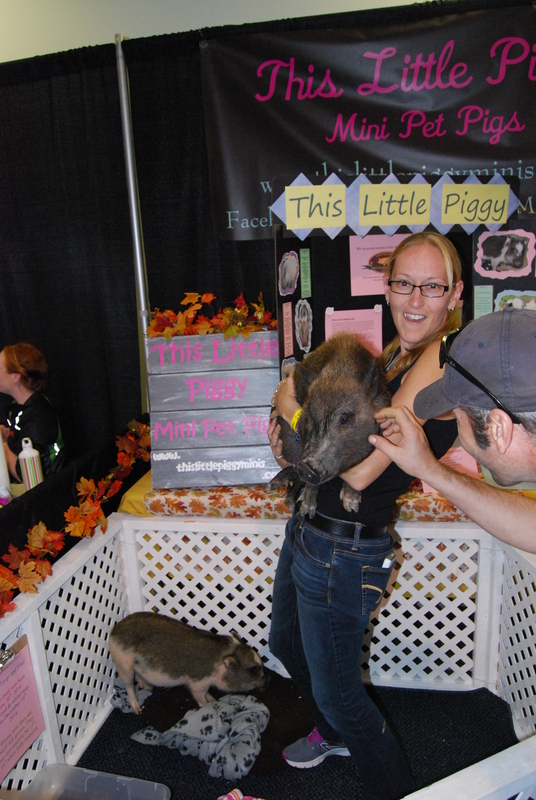 Three little piggies went to the Canadian Pet Expo to help breeders, This Little Piggy Minis, promote pet pig ownership, and maybe even sell a few. Pigs will even learn tricks, walk on leashes and cuddle on the couch. Like any animal, breeder standards vary widely, but there is one website claiming to be a listing for ethical breeds. (And, like any interesting pet info, this will likely be fodder for a future post). If you’re going to own a snake, you’ll need a lot of tattoos. 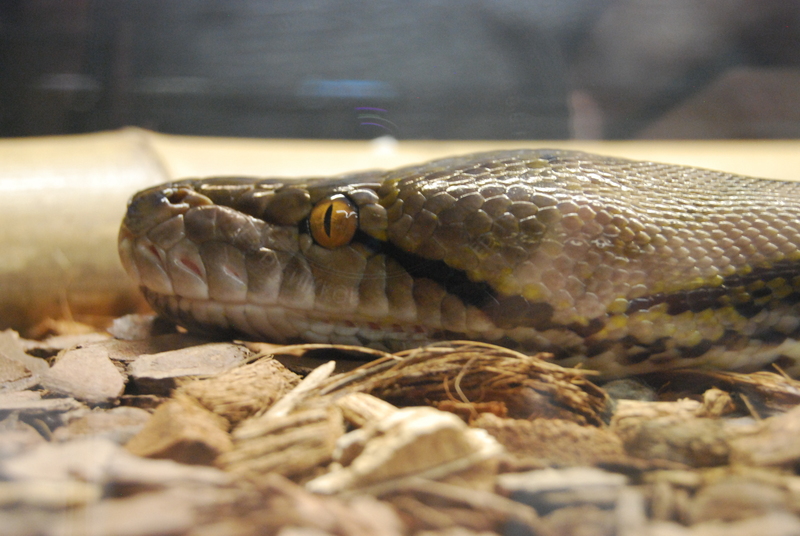 Looking around 2015 Reptile Breeders’ Expo, which paired up with the Canadian Pet Expo, piercings and tattoos are practically (hey, I said practically) mandatory for enthusiasts of the slithery and scaly, and a whiff of Jim Rose Circus punctuated the air. Reptiles, snakes, spiders and amphibians clearly appeal to a type, and it isn’t straight-laced corporate bankers. If you’re going to make a joke about Don Cherry, make sure you’re not talking to his daughter. I’m sure Cindy Cherry has heard it all, especially because her father has lent his name to the pet rescue foundation she runs as president: Don Cherry’s Pet Rescue Foundation (DCPRF) raises money and provides grants to deserving rescue organizations in Canada. Earlier this year, Canadian hockey legend and Coach’s Corner host Don Cherry added his endorsement to Simply Pets brand of pet products. Each bag of treats sports an image of Cherry, along with a photo of a rescue dog benefiting from the foundation’s efforts. Cherry donates his portion of the proceeds to the DCPRF, and Saturday the show organizers and sponsors sent several thousand the foundation’s way. 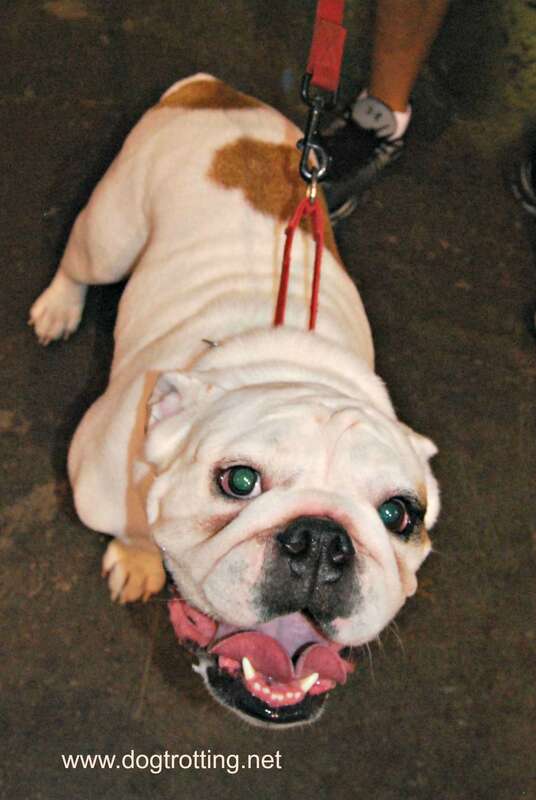 If you’re going to pet an English bulldog, wear Teflon pants. This one’s self-explanatory. Bulldogs with their wide mouths and big smiles drool like slime machines – at least this one did. After I bent down to take his photo, he was so enthusiastic I couldn’t not cuddle him. As he turned his head, lips grazing my pants, and there it was: the biggest mucus deposit I’ve ever seen soaking through the leg of my pant. Next up is the Toronto Christmas Pet Show, November 21-22, 2015 in Downsview Park, Toronto. Spring Canadian Pet Expo, March 22 to 27, 2016 back at the International Centre in Mississauga (near Toronto), Ontario. Love Summer Festivals? Checkout Summer Woofstock in Toronto. If you really love reptiles and want to learn more (definitely learn more before bringing one home) check out Everything You Need to Know about Snakes on Amazon.